Our 2017 Sustainability Report, Operational Excellence. Sustainable Value., detailing our economic, environmental and social performance for the year has been published. The foundation of our safety culture is to make our mines Safe Enough For Our Families. We are extremely proud to have achieved Zero Fatalities in 2017, our number one priority. We also saw a significant improvement in the Company’s safety performance over the year. Goldcorp’s All Injury Frequency Rate (AIFR) declined by 37% in 2017 and our Lost Time Injury Frequency Rate (LTFR) dropped by 17%. As part of our commitment to building an inclusive workplace, we developed a multidisciplinary Diversity and Inclusion Strategy, inspired by the Global Diversity and Inclusion Benchmarks. This strategy outlines actionable steps to promote Goldcorp’s inclusive work environment. Adding to our talent development suite of offerings, we launched our redesigned StepUP leadership program and our new Future Leaders program. Both programs reinforce our ongoing commitment to supporting employee development at every stage of their career. In 2017, we focused on establishing the right mix of metrics to establish a sustainability performance baseline across all operating sites and establish targets for improvement in 2018. Towards this end, we developed and implemented the Goldcorp Sustainability Performance Index (SPI) during the year to monitor and measure progress in the areas of Safety & Health, Environment, Community Relations and Security. On-the-ground sustainability practices and progress are now being tracked and reported on a monthly basis. 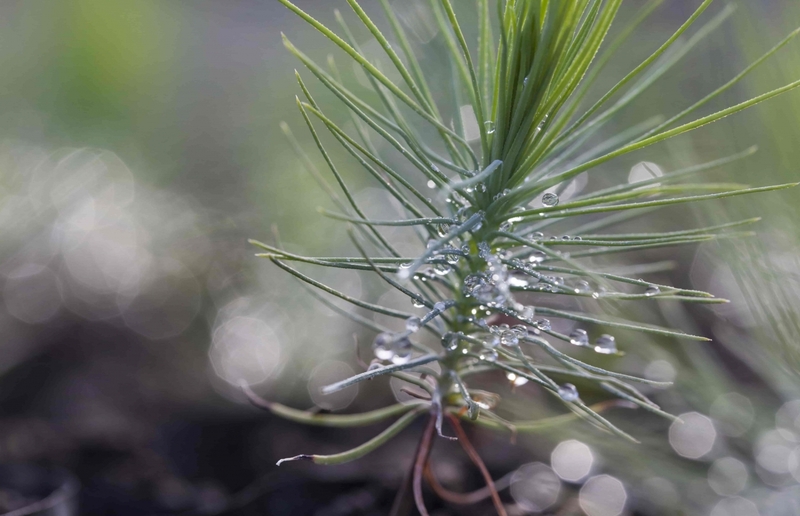 Responsible water management is the hallmark of Goldcorp’s sustainability vision. We implemented a Water Accounting Framework, which defines the targets, milestones and success criteria of Goldcorp’s Towards Zero Water (H2Zero) We are continuing to develop and refine new technologies and process improvements that minimize water use at our mines, such as EcoTails, which takes us closer to our goal of reducing new fresh-water consumption to zero. Recognizing that mining is an energy-intensive business, we continue to improve the energy efficiencies of our operations and reduce our greenhouse gas emissions (GHG). Various energy efficiency projects and initiatives undertaken in 2017 resulted in savings of approximately 100,000 tonnes of CO2e, equivalent to taking approximately 21,000 cars off the road for a year. Goldcorp announced Canada’s first, fully electric underground mine at Borden, which will eliminate the use of diesel fuel and propane gas. At Goldcorp, we recognize that we have an obligation to provide long-term social and economic benefits that extend beyond the life of the mine. In 2017, we contributed approximately US$9.94 million in cash and US$6.98 million in-kind to local communities in the form of donations, community investments, sponsorships and infrastructure improvements. More than one-third of the goods and services used at our operations were purchased locally and regionally, accounting for more than US$700 million in spending. As a mine reaches the end of its productive life, we undertake comprehensive land reclamation to ensure local ecosystems are healthy ensuring previously mined areas are returned to productive use. Significant reclamation work at our Marlin Mine in Guatemala commenced in 2017. Our Marlin mine was the second mine in the world (our El Sauzal mine was the first) decommissioned and verified under the Principles & Standards of Practice of the International Cyanide Management Code (ICMC). O’Mara, Julie, and Richter, Alan, Global Diversity & Inclusion Benchmarks (www.diversitycollegium.org, 2016), PDF.